Posted by stewsutton in Humanity, Jesus, Love, Theology, Wisdom. When a merely moral man or woman comes in contact with baseness and immorality and treachery, the recoil is so desperately offensive to human goodness that the heart shuts up in despair. God’s redemption is glorious in that the most horrible, offensive, and atrocious things can never get to the bottom of His love. Posted by stewsutton in Humanity, Theology, Wisdom. Have you heard of the God who loves you? With so much evidence of hatred on display around the world, many might conclude that religion is at the center of the worlds problems. And this conclusion is accurate if we properly define religion. Religion is a man-made concept, yet the motivations extend beyond this physical world and into the dark recesses of the spiritual world. In Genesis 3:1-5 we see Satan cleverly introduce deception into the world with a lie. A lie based on hatred toward God. Lies born of hatred, and hatred born of pride. This is an all-consuming hatred that seeks death of all that is good and loving, and kind. It is a hatred that deeply infuses the religion of Islam and this is why we see increasing terror around the world. The Muslim and Christian views of God have some similarities. Christians believe in one eternal God Who created the universe, and Muslims apply these attributes to Allah. Both view God as all-powerful, all-knowing, and all-present. A vital difference between the Islamic and Christian views of God is the biblical concept of the Trinity. In the Bible, God has revealed Himself as one God in three Persons: God the Father, God the Son, and God the Holy Spirit. While each Person of the Trinity is fully God, God is not three gods but three in one. 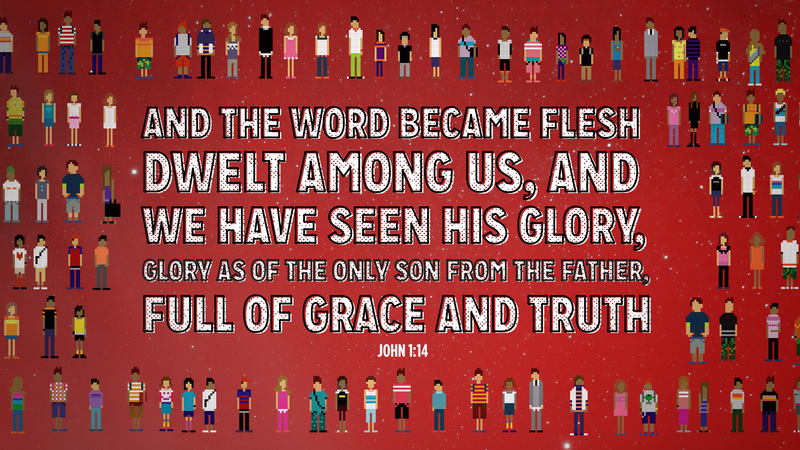 God’s Son came in the form of man, a truth called the incarnation (Luke 1:30-35; John 1:14; Colossians 2:9; 1 John 4:1-3). The Lord Jesus Christ conquered the penalty and power of sin by dying on the cross (Romans 6:23). After rising from the dead, Jesus went back to heaven to be with His Father and sent the Holy Spirit to believers (Acts 1:8-11). One day, Christ will return to judge and rule (Acts 10:42, 43). Those who have trusted in the Lord Jesus will live with Him, but those who refuse to follow Him must be separated in hell from the holy God. “The Father loves the Son and has given all things into his hand. Whoever believes in the Son has eternal life; whoever does not obey the Son shall not see life, but the wrath of God remains on him” (John 3:35-36). Either Jesus bears the wrath of God for your sin on the cross or you bear the wrath of God for your sin in hell (1 Peter 2:24).The Trinity is essential to the Christian faith. Without the Trinity, there would be no incarnation of God’s Son in the Person of Jesus Christ. Without Jesus Christ, there would be no salvation from sin. Without salvation, sin would condemn all to an eternal hell. So, do Christians and Muslims worship the same God? A better question is, “Do Christians and Muslims both have a correct understanding of who God is?” To this question, the answer is definitely no. Because of crucial differences between the Christian and Muslim concepts of God, the two faiths cannot both be true. The biblical God alone addresses and solves the problem of sin by giving His Son. 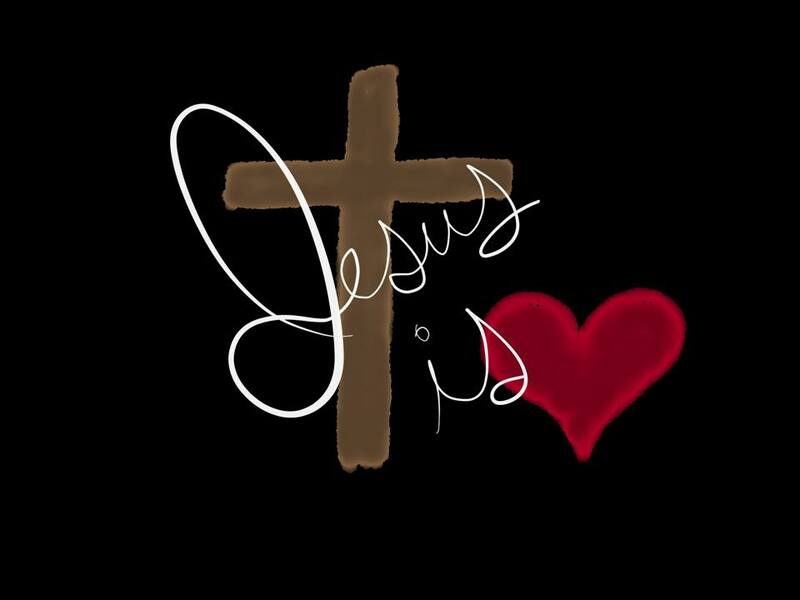 “For God so loved the world that he gave his one and only Son, that whoever believes in him shall not perish but have eternal life. For God did not send his Son into the world to condemn the world, but to save the world through him. Whoever believes in him is not condemned, but whoever does not believe stands condemned already because he has not believed in the name of God’s one and only Son” (John 3:16-18). In this broken world that incubates hatred, we are fortunate to have a God that loves. Anyone who ignores God’s love, who rejects Christ as Savior, who denies the Savior who bought him (2 Peter 2:1) will be subject to God’s wrath for eternity (Romans 1:18), not His love (Romans 6:23). God loves everyone unconditionally in that He shows mercy to everyone by not destroying them immediately because of sin. 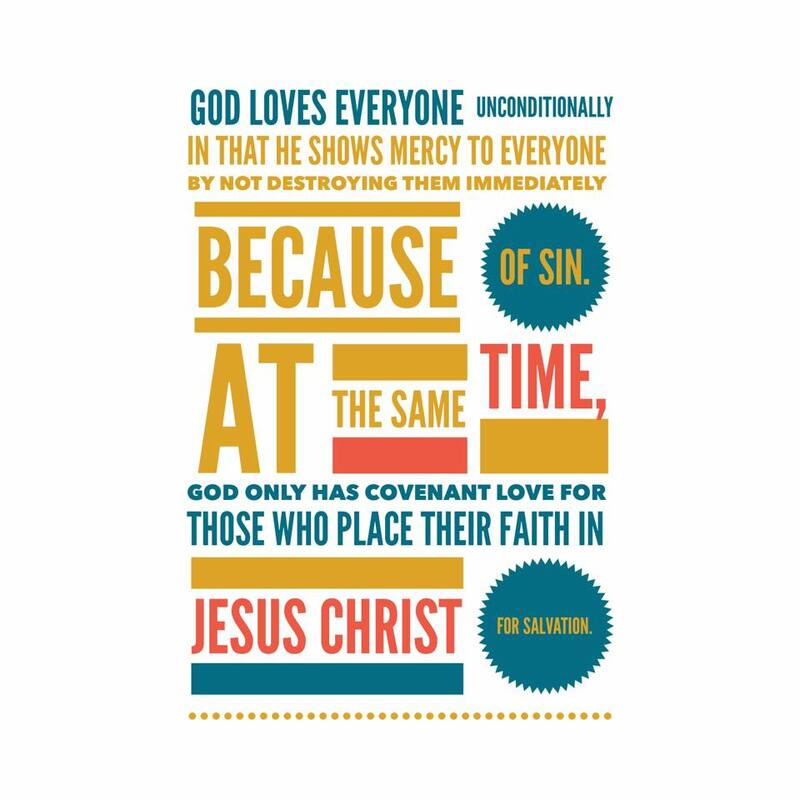 At the same time, God only has “covenant love” for those who place their faith in Jesus Christ for salvation (John 3:36). Only those who believe in Jesus Christ as their Lord and Savior will experience God’s love for eternity. Does God love everyone? Yes. Does God love Christians more than He loves non-Christians? No. Does God love Christians to a different extent than He loves non-Christians? Yes. God loves everyone equally in that He is merciful to all. God only loves Christians in that only Christians have His eternal grace and mercy and the promise of His forever love in heaven. The unconditional love God has for everyone should bring us to faith in Him, receiving in thankfulness the great conditional love He grants all those who receive Jesus Christ as Savior. Posted by stewsutton in Theology, Wisdom. Posted by stewsutton in Collaboration, Communications, Education, Humanity, Information Technology, Learning, Social, Wisdom. The brain retains a certain amount of plasticity throughout life — more specifically, the way we think can be reshaped. Thus, if the brain is trained to respond (and enjoy) the faster pace of the digital world, it is reshaped to favor that approach to experiencing the world as a whole. Soon, it comes to crave that experience, as the body increasingly craves more of anything it’s trained to respond to favorably. The problem it seems is in relationship to deep-thinking critical thought that accompanies the reading of a longer narrative. The slow contemplation of ideas, concepts, possibilities, and consequences derived from consumption of material composed within a longer narrative may be an endangered species if there is an an attractive, visually appealing, shallow construction of “similar” material competing for our limited attention. So can the rush toward mobile digital content consumption be a threat to our ability to think properly? Clearly there are examples of where the digital mobile world is introducing positive benefits to education and the workplace. And while some would favorably represent the actions of content skimming and filtering made possible by mobile devices, favorite apps, and a nearly infinite Internet-based “library”, the very action of rapid movement through content is what serves to rewire our brain. So maybe its better to lay off the “apps” on our mobile device and take the slow road of thoughtful consumption via eBooks and similarly formatted content. Posted by stewsutton in Humanity, Knowledge Management, Theology, Wisdom. Posted by stewsutton in Collaboration, Knowledge Management, Stewardship, Wisdom. We sometimes confuse knowledge for wisdom by using the terms interchangably. A good way to distinguish the terms is to consider knowledge as insight and context into a specific topic. And wisdom is applying understanding and judgement in the application of knowledge. With that distinction, what it means to “manage knowledge” can be viewed with better clarity. Knowledge management becomes an attention to stewardship of our insight – so that it can be applied with sufficient understanding and judgement. The classic phrase: Which came first; the chicken or the egg? is often used to present a paradox in the order of events. For many that consider the universe and all that it contains to be a grand cosmic accident, the chicken and egg paradox is truly perplexing. But there is something else here that can also be compared. It seems to go against the norms of the 21st century modern society. In order to improve your understanding, you first need faith. Now most modern scientists will tell you that they need some evidence to go on before they head down a specific path. They want some proof. In matters of religion, the often-used statement is “I want proof before I head down that path of thought…” That it turns out becomes a stumbling block for those that seek understanding through heading down a specific path because that very path will not be revealed without faith that the path exists. The phrase credo ut intelligam was first put forth by Augustine, then popularized by Anselm of Canterbury in 1033-1109 AD. Augustine’s full statement was “I don’t understand so that I might believe, but I believe so that I might understand.” This idea gives emphasis to the priority and necessity of belief in the Cristian’s intellectual pursuits. One cannot truly and fully understand spiritual matters unless he or she first believes them to be true. This Latin phrase was coined by Anselm of Canterbury . This is one of the earliest definitions of theology. It starts with the assumption that we are believers and as such, we are seeking to understand our beliefs better. So first have faith, then (secondly) you can seek deeper understanding upon the path that is shown to you.